One reason is that as technology evolves, so too must software. Old ERPs deliver a poor user experience on new operating systems, and additional issues crop up as software modules age and become unsupported. The result is inefficient and often frustrating. But let’s be honest: while SAP has always delivered a powerful, process-driven software solution, the interface was never terribly user friendly. Even in older versions, SAP provided the strongest and most efficient ERP on the market, which enabled customers to manage and capture data for nearly every business process imaginable. Yet when it came to using the software, it was up to the end user to muddle through a dizzying array of fields to find those few that were relevant to their particular job role. Cluttered, confusing and difficult to learn were just a few of the descriptions I heard regularly. SAP knew that the user experience had to change—and, after considerable work, SAP Fiori is the result. SAP Fiori is a set of lean, browser-agnostic apps designed to work with SAP and the HANA database. These apps are housed within a launchpad, or home page, that provides end users with a simple, heads-up view of available processes and provides live status indicators for areas such as analytics or the number of open tasks. 1. Role-based. With modern systems, there’s no need for a “one size fits all” approach. Instead of the original function-based interface, Fiori delivers a customized experience based on the user’s individual job role. This puts needed functions front-and-center for each user, and hides away tasks and workflows that don’t apply to that individual’s role or responsibilities. 2. Adaptive. Today’s businesses run on any number of platforms, from desktops and laptops through to tablets and smartphones. 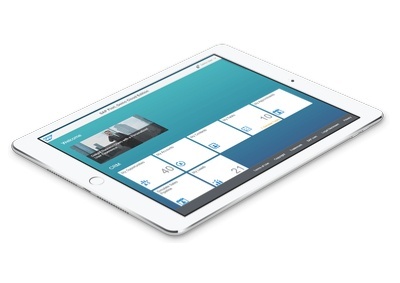 SAP Fiori makes it easy to access your ERP and role-based tasks through any device, with a user interface that automatically adapts to your device and the size of your screen. 3. Coherent. Forget cluttered, complicated workflows—Fiori delivers a smooth and intuitive user experience. In fact, Fiori is so intuitive that many end users are able to pick up and start using apps right from day one. 4. Simple. While business processes and the associated functionalities of an ERP system are inherently complex, the user experience doesn’t have to be. Fiori apps break up massive processes into simple tasks, while presenting the end user with a clean and easy-to-understand look and feel. 5. Delightful. Using your ERP shouldn’t be a chore! With Fiori, SAP wants end users to enjoy the experience of interacting with the system and choose using the ERP over other alternatives, such as jotting notes on paper. What’s it like using a Fiori app? A great example would be SAP’s My Inbox app, designed for managers. Let’s say you’re on vacation and realize that you forgot to authorize a credit limit increase on a high-priority sales order. With the old user interface, addressing this problem from a distance would be a logistical nightmare—if not impossible. With Fiori, all you need is your smartphone. Open the My Inbox app to see all requisitions waiting for your review, grouped according to the type of approval required. Click on a requisition to see the relevant details, and then click a button to approve, reject, or forward the approval to another person. A few minutes and you’re done! Contact Illumiti today to learn more about how SAP Fiori can take the headache out of using your ERP.